SK Telecom is preparing for its big 5G launch on December 1st. SK Telecom will commence 5G service in the Seoul metropolitan area and 6 other cities beginning at midnight on 01-December-2018. In press materials sent out ahead of the launch, SK Telecom President Park Jung-ho said, "We will lead the new ICT innovation in Korea based on 5G ∙ AI convergence with a strong sense of responsibility as a company opening the 5G era"
Telia Carrier will continue to serve as a qualified supplier to The Quilt, which is the national coalition of non-profit U.S. regional research and education networks representing 40 networks across the country. Participants in The Quilt provide advanced network services and applications to over 900 universities and thousands of other educational and community anchor institutions. Under a new contract that continues an eight-year partnership, Telia Carrier will continue to extend its #1 ranked fiber backbone to The Quilt’s members, a national coalition of nonprofit regional research and education networks representing 40 networks and more than 900 educational institutions in the U.S.
Telia Carrier said it is providing IPv4 and IPv6 performance, scale, and flexibility demanded by The Quilt infrastructure providers for their IP Transit service, delivering more than 300Gbps of Internet capacity to its members and connecting more than 20 unique universities and regional networks. 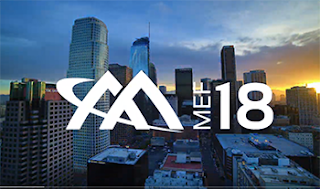 IEEE published a new 802.1CM-2018—IEEE standard that supports fronthaul interfaces such as the recently published eCPRI specification to provide Ethernet-based fronthaul. IEEE 802.1CM Standard for Local and metropolitan area networks—Time-Sensitive Networking for Fronthaul was developed in collaboration with the CPRI Cooperation that contributed the requirements of a fronthaul transport network. IEEE 802.1CM describes how these requirements can be met by a fronthaul bridged network including synchronization solutions developed by Study Group 15 of ITU’s Telecommunication Standardization Sector (ITU-T), whose input also contributed to the development of IEEE 802.1CM. 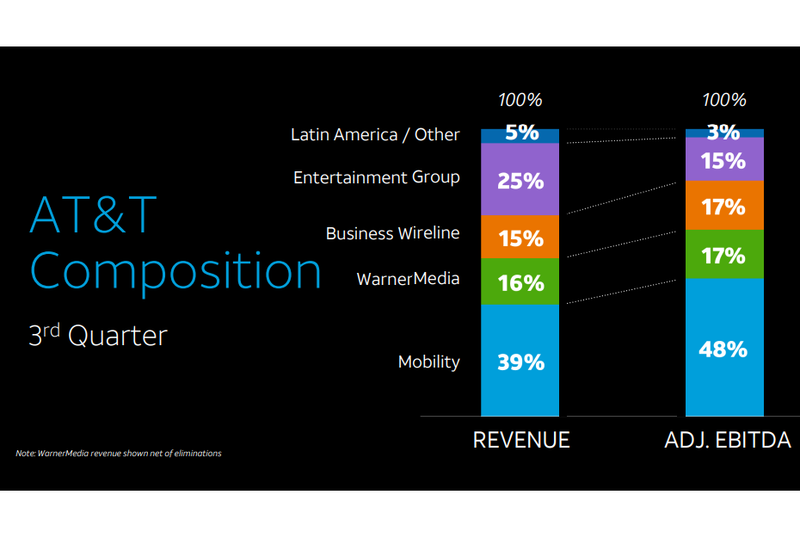 At an investor meeting in New York, AT&T updated its financial guidance for 2019 following its acquisition of Time Warner, now known as WarnerMedia. “We are well positioned for success as the lines between entertainment and communications continue to blur,” said Randall Stephenson, AT&T chairman and CEO. “If you’re a media company, you can no longer rely exclusively on wholesale distribution models. You must develop a direct relationship with your viewers. And if you’re a communications company, you can no longer rely exclusively on oversized bundles of content." Juniper Networks agreed to acquire HTBASE, a start-up based in Santa Clara, California, that offers a software platform for integrates compute, networking and storage across public and private clouds. Juniper said the acquisition will add multicloud storage to the network and compute orchestration capabilities of its Contrail Enterprise Multicloud. HTBASE’s unique value is its platform’s ability to make the complete infrastructure layer (compute, storage and networking) transparent to applications, without impacting the operating system or architecture. Dugan recently became CenturyLink’s CTO after serving as the company’s Senior Vice President of technology planning, network architecture, and security. Prior to joining CenturyLink, he served in CTO and other roles at Level 3 Communications. 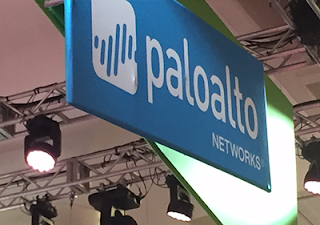 Palo Alto Networks reported revenue for its fiscal first quarter 2019, ended October 31, 2018, of $656 million, up 31 percent year over year compared with total revenue of $501.8 million for the fiscal first quarter 2018. GAAP net loss for the fiscal first quarter 2019 was $38.3 million, or $0.41 per diluted share, compared with GAAP net loss of $63.2 million, or $0.70 per diluted share, for the fiscal first quarter 2018. Non-GAAP net income for the fiscal first quarter 2019 was $115.4 million, or $1.17 per diluted share, compared with non-GAAP net income of $70.3 million, or $0.75 per diluted share, for the fiscal first quarter 2018. A reconciliation between GAAP and non-GAAP information is contained in the tables below. "We had an excellent start to the fiscal year that highlights the continued strength of our platform," said Nikesh Arora, chief executive officer of Palo Alto Networks. "Our approach of providing best-in-class security products, combined with automation and integration to remove complexity, continues to resonate with customers. The completion of our RedLock acquisition during the quarter marks another important step forward in our cloud security strategy. We expect to deliver an integrated offering early next year that combines RedLock's technologies with our existing cloud security products to help our customers secure their mobile workforce, protect the public cloud and stop advanced threats." Three years after launching Project Fi, Google is expanding its wireless connectivity service to iPhones. The service, which has been renamed to Google Fi, provides no-contract connectivity with data coverage in 170 countries and territories, spam protection, and data-only SIMs for additional devices. Google Fi uses unique technology to seamlessly switch between 3 leading 4G LTE networks and 2 million+ secure Wi-Fi hotspots. Sprint will offer a 5G mobile smart hub from HTC in the first half of 2019. The device will be powered by silicon from Qualcomm. Product details and pricing are not yet available. Sprint said it is on track to launch its mobile 5G network in the first half of 2019 beginning in Atlanta, Chicago, Dallas, Houston, Kansas City, Los Angeles, New York City, Phoenix and Washington, D.C., with additional markets to be announced. "We're excited to continue building our 5G device portfolio and announce another way our customers can be among the first to experience Sprint 5G next year," said Dr. John Saw, Sprint chief technology officer. "This innovative product will allow customers on the go, at work or at home to enjoy Sprint 5G on multiple devices with incredibly fast connectivity for content sharing, mobile gaming, entertainment and so much more." Hewlett Packard Enterprise agreed to acquire BlueData, a software developer focused on artificial intelligence and big data analytics. Financial terms were not disclosed. BlueData, which is based in Santa Clara, California, uses container technology to make simplify the deployment of large-scale machine learning and big data analytics applications.